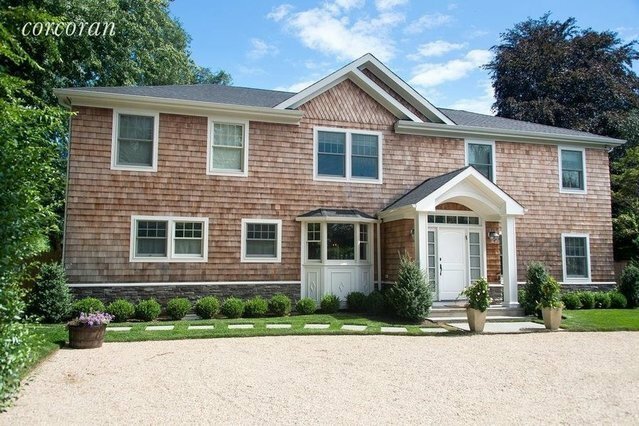 Newly constructed and renovated home in the prestigious mecox bay area in water mill. Located down a quite lane is this spacious 4000 plus square foot home with state of the art kitchen, living room with fireplace, dining room and first floor suite. French doors lead out to the pool and a covered porch. Great for entertaining or just relaxing in your own private retreat. Upstairs there is a over sized master suite complete with fireplace, walk in closet, marble bath and beautiful balcony over looking the grounds. There is also a finished lower level complete with a movie theater. A short distance to the ocean and local farm stands..